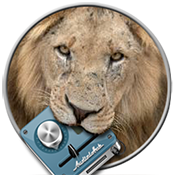 Techspansion - Lion Updaters now available for VisualHub and Audialhub! 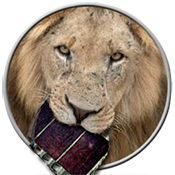 Lion Updaters are now available! Click each icon to begin the download. Also, click here to learn more about an unofficial experimental speed boost for VisualHub! These one-step updaters will fix a show-stopper bug preventing registration from working in Mac OS X 10.7 Lion and higher. They do not add new features, and are available as-is for those still using VisualHub and AudialHub. It's been nearly ten years since Techspansion closed and these programs were last maintained. VisualHub and AudialHub are no longer supported. And they won't last forever. Whatever breaks from here on out will be the end, sadly. I hope this update squeezes a little more life out of these two apps for you. Wait, what's all this about? Since VisualHub broke in Lion, I thought it would be a nice gesture to dig back into the code, make the slight tweak needed to keep it running, and make that tweak available to long-time users and fans who still cared. It turns out that doing something like that brings about a public spat with your former reseller, and causes a very visible and vocal debate to break out over intellectual property and the ownership/use of customer data. So does this mean you're going back in business?!? I want to run the update, but VisualHub says my Registration Code is invalid! Actually, that's what the updater fixes. You don't need to enter your registration code before running the updater. The updater says it "can't be opened because it is from an unidentified developer." Right-click (or Ctrl-click) the updater and select "Open". These updaters (and VisualHub itself) were created before Apple registered developers were even a thing. I want to run the update, but VisualHub says my Serial Number doesn't work! ...That's what the updater fixes! You don't need to enter your registration code before running the updater! Just download and launch the updater from the top of this page. VisualHub won't take my Registration code! Aren't you paying attention? You need to run the updater. Ignore VisualHub for a second and run the updater at the top of this page. On second thought...here. Just click this link. It's closer and you won't get lost. Hey, I got this problem with VisualHub. Can you help me solve it? If you really want to send an e-mail somewhere, you're welcome to...but you may not get the answer you're looking for. VisualHub hasn't been sold or supported in a decade, and Techspansion has only been brought back to life to deliver this update. It's already dead again. No. Kagi does not provide support for VisualHub. And Kagi doesn't even exist anymore. I think you and/or the things you did are awesome. Can I give you money? For VisualHub? Absolutely not. Techspansion is closed. I can't in good conscience accept any payments on behalf of it, nor make any new sales. My dad and I think you should donate to Marklund - a charity that cares for developmently-disabled people of all ages. If you still have money left over, I hear that FlashFrozen is pretty cool, too. What happens if/when macOS 10.14 San Andreas breaks VisualHub? That will be very sad, but it won't come as a shock. This is the last update there will ever be. VisualHub is inherently a 32-bit app, and newer releases of macOS will end 32-bit compatibility. After literally 10 years, you'll finally need to move on. I want to take the reigns of VisualHub and ride for glory! Sounds like fun. The source code to each project is available on SourceForge with different non-Techspansion names. They're GPLv2, so you'd have to work publicly and release your source too. You'll need to rock Xcode 3.x, unless you rewrite it all in AppleScriptObjC or pure Cocoa. Check out the developer guide over there. It may help a bit. How come you hand-write all your HTML? Because Adobe PageMill is too old and everything else makes crappy code. I dislike one or more of the decisions you've made. Thanks for going through the effort to do this after all these years!